Stylori.com is the ultimate online jewellery store for everyday fashion jewellery. 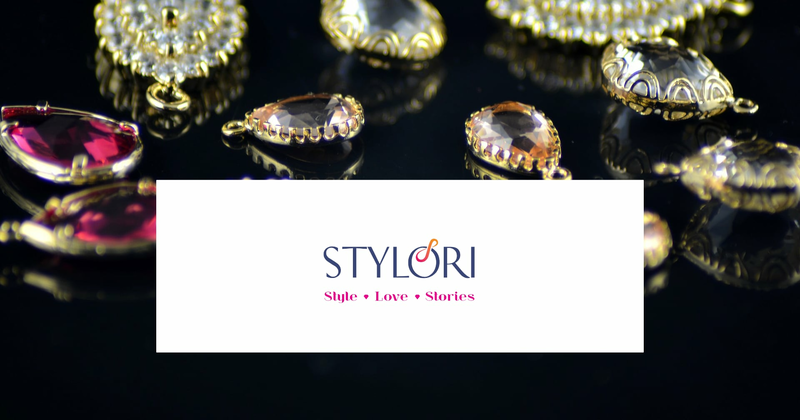 At Stylori you’ll find modern jewellery crafted from certified metals, diamonds and gemstones at affordable prices, presented in a convenient online shopping. We celebrate all modern Indian women – young, expressive, opinionated, social and who love dressing up not just for occasions, but every single day. That is why we have the largest collection of 1 day shipping jewellery in India. Stylori came aboard OnlineSales.ai’s OMP to build an online presence and eventually drive sales. They were struggling to find the right audiences and hence were finding it strenuous to scale up on their orders. OnlineSales.ai was able to identify and pinpoint the exact audience buckets based on the past experience with similar clients from the jewelry industry. OnlineSales.ai’s device, age bucket and ad creative optimizers helped reduce costs by 25% in spite of scaling up on the spends by 5X. Jewelry being a niche commodity and the fact that it doesn’t fall under the impulse-buying categories, we set up campaign objectives by keeping the first half of the month around building a fresh audience base, so we could remarket them in the second half of the month. This strategy worked wonders. Optimizing the campaigns based on add-to-cart data from the platform helped in boosting the overall sales volumes. For Stylori, we have been targeting our ads in India with much of the focus on Tier 1 and a few Tier 2 cities. Using a number of interest buckets across Category, Demographics, Behaviour and Competitor-specific targeting enabled us to pinpoint the right mix of affinities for our target audience. Since Stylori was relatively new online, we planned on running carousel ads displaying the different categories that Stylori has, so we could discover our best performing categories based on the response from our audiences. We fine-grained the campaigns based on device-level insights received through the OnlineSales.ai for eCommerce platform. This gave us better control over distributing our budgets to maximize reach and conversions. A step-by-step strategy was created to optimize the campaign objective based on funnel metrics. In the initial phase, campaigns were optimized based on top of the funnel metrics to drive more relevant visitors, eventually moving to the bottom of the funnel metrics. An extensive strategy around retargeting previous website visitors, add-to-cart users, cart abandoners and email lists of subscribed users was executed to capitalize on the audience base we built through regular interest-based campaigns. To reduce monotony in our ads and to also understand which creative template was performing best for us, we studied the ad creative insights from the platform. The very first month of engagement saw a 2.5X increase in conversions over the previous month. We then scaled up on the ad spends by more than 5X to boost the orders and build on a healthy remarketing base. Even after a 5X increase in spends, the CPLs were kept well under control. To scale up on the spends on Facebook by 30%-40% in coming months. Experimenting with other ad formats on Facebook – Slideshow, Video and Canvas ads. Exploring Facebook Dynamic ads. Their parent company – NAC Jewellers is now having an exclusive online store and they will soon be beginning their digital marketing activities on Facebook. "The experience with OnlineSales.ai has been very good so far. We started off with a very broad goal of simply increasing the number of orders. OnlineSales.ai has done a very good job of slicing & dicing the data to help us arrive at a strategy that is helping in getting the right mix of audience. The Automated suggestions feature of OnlineSales.ai is helping is identify which creatives work the best helping us to get the maximum out of the creatives. OnlineSales.ai team has always been very responsive and has been game to try our various different experiments. Overall it is a very positive experience working with OnlineSales.ai"